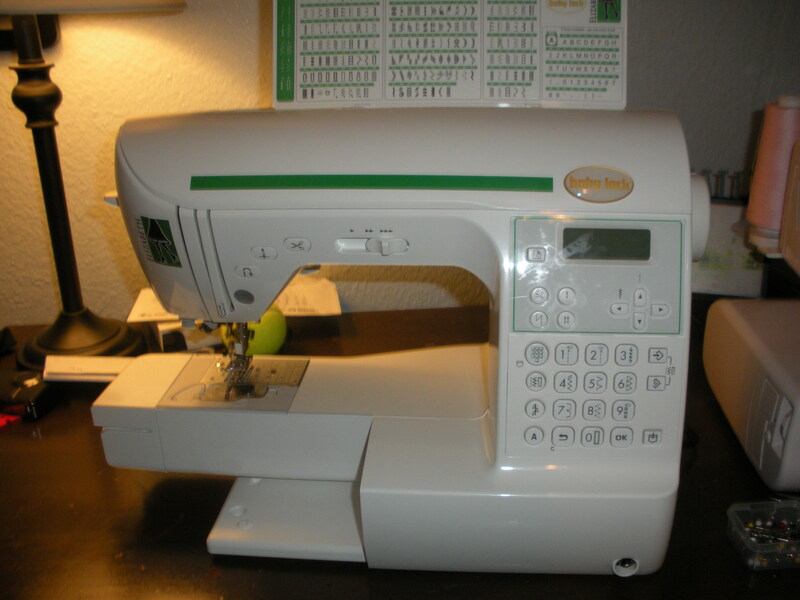 So I start my blog with a dead sewing machine! Very big sad face! So I knit…. I had this lovely machine passed on from my mom and not sure where she acquired it from but it made curtains and all kinds of outfits. It is now ready to rest in peace in the sewing machine graveyard or my closet just in case. Up side is that I need to shop for a new machine. I headed down to a local shop Sew Much More. I walked in the door and knew I was in heaven. Just about every model of Elna, Bernina, and Baby Lock sergers, embroidery, and sewing machines ready to take for a test drive. Mary Kay spotted me and introduced me to Miss. Elizabeth. I knew we would become BFFs but I had to talk to the hubs first. Day 2 to sewing machine shopping lead me to the Sew Much More Outlet which happened to be the Grand Opening! I knew it was fate that not only was JoAnn’s having a sale but I was now standing in an outlet store for machines, notions and furniture. 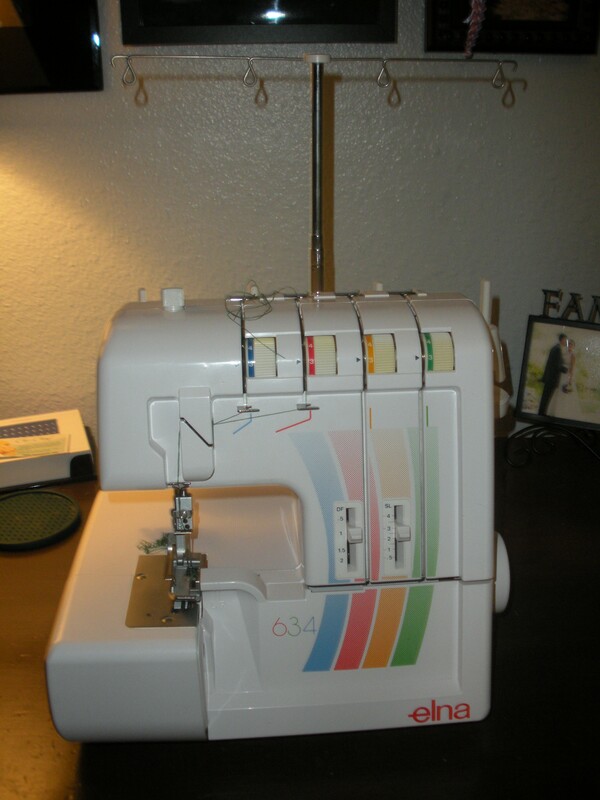 I have been wanting a serger for sometime and finally found a great place to purchase a starter one. Cynthia showed me around and long story short I ended up with the below machine and 2 lessons! I went back in forth over a machine to just get by with or to spend some cash and get a good machine that I can pass down to my daughter. 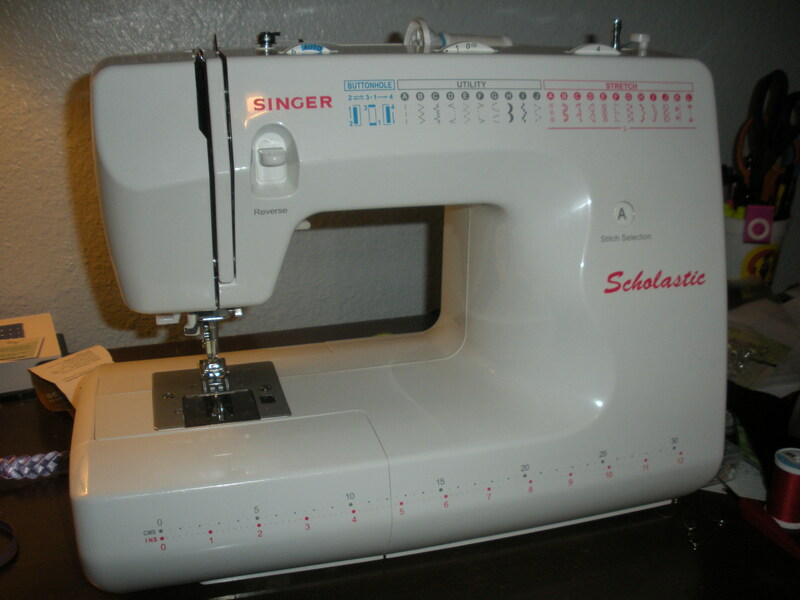 After much discussion over the right sewing machine I ended up with Miss. Elizabeth and unlimited private lessons. The ability to do numbers and letters really sold me. Now this machine does so much and probably more than I can use right now but I have decided to try and learn all of its functions since I have unlimited lessons! What machine do you have? Learned any new functions lately? Please share. Posted in Uncategorized and tagged Baby lock, broken sewing machine, buying a new sewing machine, Elna, Sew much more. Bookmark the permalink.